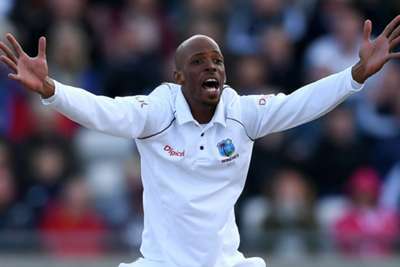 Roston Chase says West Indies must go back to the drawing board if they are to stay in the ODI series with Bangladesh after a comprehensive defeat in the opening game on Sunday. Bangladesh cruised to a five-wicket win in Mirpur to move 1-0 ahead in the three-game series, the 50-over victory coming off the back of a Test series whitewash. While Bangladesh's spinners dominated the Tests, it was the seamers who impressed in the first ODI, with Mashrafe Mortaza and Mustafizur Rahman sharing six wickets. The Windies finished on 195-9 from their 50 overs, a target Bangladesh reached with 89 balls to spare, helped by an unbeaten 55 from Mushfiqur Rahim. It was another disappointing reverse for the Windies and while Chase is confident they can get back into the series, he admits there is work to be done. "I think we go back to the drawing board, we look at our plans and we will look at where we fell down in this match and improve on that," said Chase. "I will never say that the series is over – we are going to come back strong. We know the guys will be up for the challenge, so we are looking forward to the next game." He added: "We felt it was a below-par score. The guys had a discussion, we felt that once we got a good start and got some early wickets we would have been in with a shout."